A federal judge in San Diego issued an order Monday barring the federal government from deporting newly reunited immigrant families for up to one week, with the American Civil Liberties Union raising fears of mass deportations of people who had been separated from their children at the border. U.S. District Judge Dana Sabraw agreed to the one-week prohibition on deportations in response to court papers filed by the ACLU expressing concern that the government planned to quickly deport families once separated children are returned to them, possibly without legal due process. Attorneys said newly reunited families should be given time to discuss whether they plan to seek asylum in the United States and discuss with attorneys the possible ramifications of such a move for the parents and children. Sabraw’s order will remain in place through July 23, giving the federal government one week to respond to the ACLU’s concerns. Sabraw earlier gave the federal government a July 26 deadline to return children over age 5 who were separated from their families at the border. About 2,500 such children are in federal custody. 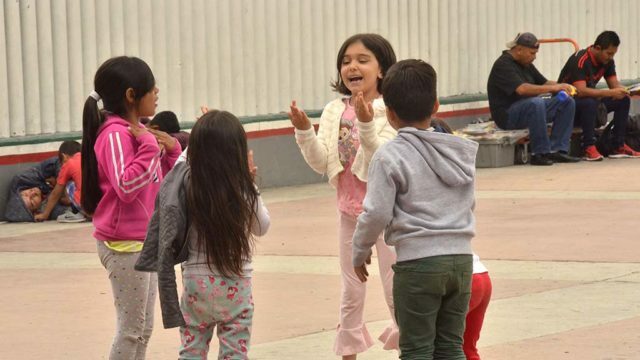 The federal government missed an earlier July 10 deadline imposed by Sabraw for the reunification of children under age 5 with their families. But federal officials proclaimed late Thursday it had successfully reunited 57 of 103 children with their families, and insisting the other children were ineligible for reunification for reasons ranging from safety concerns, parents who had already been deported or parents who were in custody for other offenses. Government officials had earlier asked for more time to complete the reunifications, claiming they needed more time to ensure the children’s safety and to confirm their parental relationships. Sabraw made it clear Monday that reunifications should continue without delay while other legal issues get hammered out. The judge said the Department of Health and Human Services is “failing” in its mission to keep the interests of children first. “It has to change its plans,” Sabraw said of the government agency. Health and Human Services Cmdr. Jonathan White — the architect of the plan to reunite separated children with their parents — said of the 2,551 children between 5 and 17 years old in federal custody — officials have not located a parent for 71 of them. White said children and being reunited with their families as quickly as possible, as soon as the relationship between child and parent can be verified. “Commander White is exactly the person who is needed,” the judge said. ACLU national attorney Lee Gelernt said he would meet with government lawyers to ensure that proper notice is given when a reunification is to take place so someone can be there to meet the reunified family and help them get back on their feet.